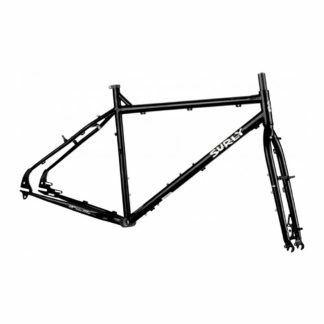 The Surly Cross-Check was the third frame we ever offered. There is no such thing as one bike that can do it all, but the Cross-Check does a good job of most things people use bikes for. It’s a cyclocross bike by design but that’s not how most people use it. It does as good a job getting you across the country as it does getting you across town. It’s at home on the road and on trails, on gravel, and just about whatever else you might run into. It’ll take pretty big tires, or smaller ones if you like. It can be built as a geared bike, a single speed or a fixed-gear. 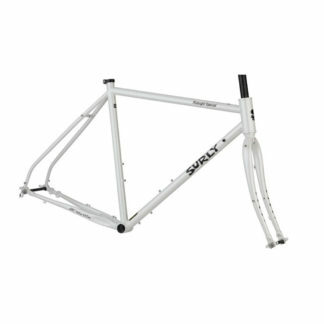 The Surly Cross Check Frameset is designed to supply a comfortable but lively ride. The tubing is CroMoly steel, high quality drawn tubing built to our specifications. 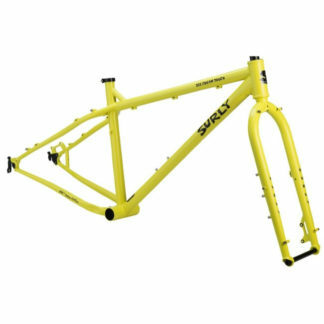 It’s built to work with components of popular sizes, meaning you can find options in tons of new and old parts. 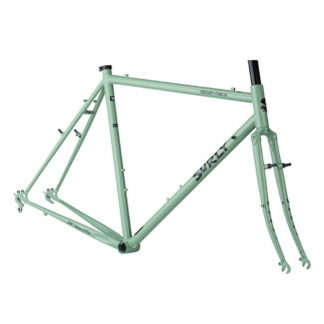 It will accommodate a wide range of crank types and chainring sizes. 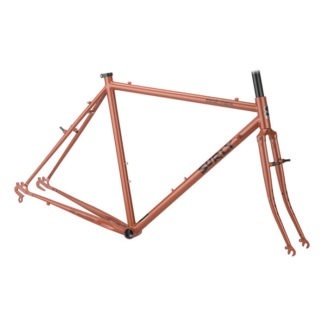 It’s got accommodations for racks and fenders front and rear. Because it takes those big tires, so you can outfit it to suit where and how you’ll use it.